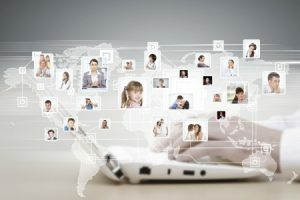 Social media has made it possible to connect with friends, family and even complete strangers in ways that were almost inconceivable before its invention. While the internet revolutionized concepts such as e-commerce and information collection, it was social media that truly transformed how we communicate with each other in real-time and in groups. Businesses and brands have plenty of interest in connecting with loyal customers and potential followers alike through sites like Facebook, as it helps improve existing marketing strategies and loyalty. Today, we’ll discuss some tips you can use that will make connecting with loyal followers on Facebook even easier. We all know that followers and friends on Facebook can comment, like and share content from your pages. If your business page needs an added boost of engagement (and it definitely does), then consider adding calls to action to the page. This can easily be done by creating a link or button via the page and then adding an additional notifier to the cover image. Whenever people hover over your page’s name in their status feeds, they’ll see the call to action. Likewise, adding the direct button to the page will ensure people can subscribe, sign-up, visit your website or perform any other action you wish when directly visiting the Facebook page. Facebook algorithms are tricky things to nail down. We all know that not every post or piece of content will be seen by every fan. Unfortunately, you have to be strategic about how you post. Facebook Insights can help you determine when loyal followers are engaging and seeing your content. With this information in hand, you can start pinging websites, videos and other forms of content during these times. This will help maximize the amount of engagement that occurs with your followers and can provide more opportunities for you to directly engage and connect with them. You may have noticed the “Pin” feature that exists on every Facebook page. This allows you to pin one important or relevant post to the top of your page, ensuring that everybody sees it first upon visiting your page. This can be a great function to use when you want to draw attention or collaboration around a specific announcement or post. Whether you are announcing a new product, giveaway or charity event, pinning a post can help bring in the traffic and conversation around a key topic. Many brands utilize this as a way to ensure engagement and meaningful connections can occur in one specific area on their page. Building meaningful connections with Facebook followers isn’t an easy task. It’s not something that can be done overnight, and even though people have taken the action of liking your page, it doesn’t mean that they are truly “yours” just yet. Whether you are pinging websites of relevance, sharing videos that tell a story or publishing the latest content you have to offer, there are many different ways in which to optimize and improve your connection with loyal customers and followers on Facebook.